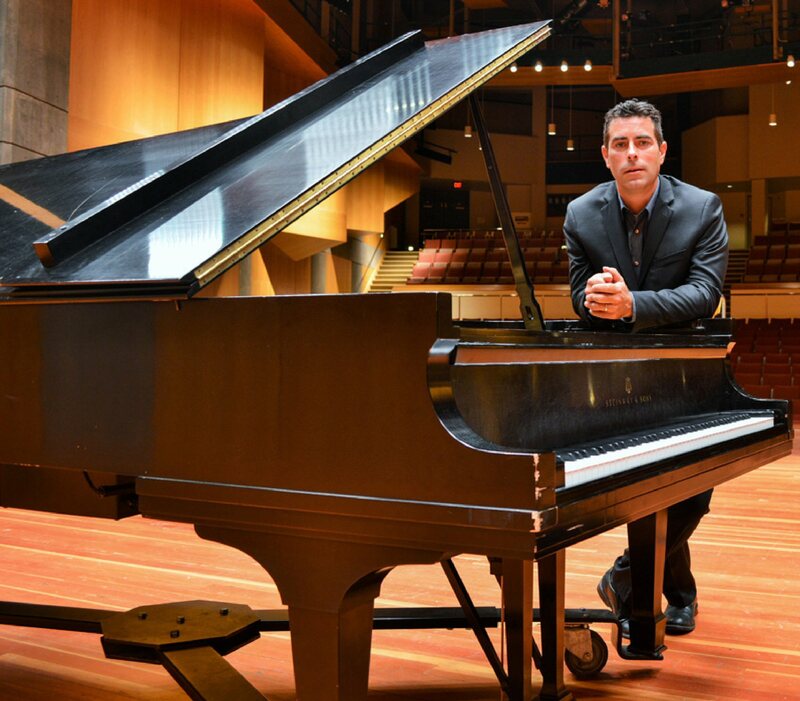 Pianist Robert Auler, professor and chair of the SUNY Oswego music department, will play some of his favorite compositions at a Focus on Faculty concert at 3 p.m. Oct. 21, in the Sheldon Hall ballroom. OSWEGO — International concert pianist and SUNY Oswego music professor Robert Auler will present a concert of favorite works at 3 p.m. Oct. 21, in the Sheldon Hall ballroom. “If someone came to a classical piano recital for a first time, these are the compositions I would want them to hear,” Auler said. Auler said the chosen works span more than 200 years of the development of the piano repertoire, and serve as an accessible entry point for listeners. The show will include Auler’s commentary from the stage. Auler has won first prize in national and international piano competitions, including the Society of American Musicians and the Stravinsky Awards. He has performed on six continents, with notable venues including Carnegie Hall, Teatro Colon and Shanghai Symphony Hall. The 2016 winner of SUNY Oswego’s President’s Award for Scholarly and Creative Activity has also recorded two solo albums, plus two records as part of the college’s Oswego Jazz Project. Tickets are $8 ($5 for SUNY Oswego students), available at the college’s box offices, online at tickets.oswego.edu or by calling 315-312-2141. Parking is included in the price of a ticket, and is available in employee and commuter lots adjacent to and across Washington Boulevard from Sheldon Hall. People with disabilities needing assistance should call 315-312-2141 in advance of the recital.